As per Reserve Bank of India’s ‘Handbook of Statistics on the Indian Economy-2014’ , the total investments made in bank deposits (including fixed deposits) by the Indian households were to the tune of Rs 6,722 billion. Around 57% of household savings are invested in bank deposits. So, Fixed Deposits and Recurring Deposits are the most preferred Financial Assets in India. What are the main reasons to invest in a Fixed Deposit? Why are FDs/RDs the most favored investment avenue in India? Bank deposits serve the purpose of preserving capital (principal). Money in a bank account is safe. Bank Deposits have good liquidity. They can be closed and the principal can be withdrawn within a few hours / days. Ease of investing and convenience is also very high with bank deposits. If an investor had lost some monies by investing in Mutual Funds / stocks, he/she prefers to invest in safe bets like Fixed Deposits or Recurring Deposits. So, bad investment experience with equities is also an important factor. FDs and RDs are used as investment tools to achieve short-term financial goals and also to accumulate an emergency fund. So there are lots of benefits investing in fixed deposits. But, are they tax-efficient? What about post-tax returns on Fixed Deposits? Can FDs and RDs deliver decent inflation-adjusted investment returns? Are Fixed Deposits good as long-term investment? Are there any other better fixed income investment avenues? On an average, a typical 5 to 10 year bank fixed deposit can generate returns of around 8 % to 9%. We generally talk about the pre-tax returns and do not give that much importance to post-tax returns (the interest earned on fixed deposit is taxable). Let us understand about the calculation of post-tax returns with an example. For example – if you invest say Rs 10,000 in an FD at 9 per cent interest rate, interest earned during the first year would be Rs. 900. But, you need to pay taxes on the interest earned. If your income tax slab rate is 30%, that means you need to pay around Rs 270 as taxes. The pre-tax returns from your bank FD is 9%. But after paying the taxes, the post-tax returns is just 6.3% only, which is much lower than the presumed return. We need to discuss one more factor here i.e., INFLATION. One rupee say in 1947 is not the same as one rupee today, both in terms of purchasing power and appearance 🙂 . Do you agree with me? If inflation is around 8% and if your investment earns 7% returns then your wealth is getting eroded. You are actually not making any money. This concept is called ‘real-rate of return’ or ‘inflation-adjusted returns’. Let’s continue with the above example to understand the effect of inflation. If you factor in inflation, the post-tax returns of 6.3% will come down to -1.57%. Indeed, you get negative returns on your investment. If you continue with a 10 year FD, just imagine the impact of taxes and inflation on the returns generated. Below chart gives you an overview of how the investment value of a Fixed Deposit decreases over a 10 year period. In this example, I have assumed the rate of interest on Rs 10,000 FD as 9% pa (annually compounding), inflation rate as 8%, income tax rate @ 30% and the tenure of FD as 10 years. Without considering the taxes and inflation, the maturity value of this 10 year FD of Rs 10,000 would be around Rs 23,600. If you consider Inflation adjusted and Post-Tax returns of -1.57%, the maturity value is Rs 8,536. When one should opt for Fixed Deposits? One of the most important aspects of successful investing is spreading your money in different kinds of investments, depending on your investment period. You can definitely consider investing in a FD / RD, if your financial goal is a short-term one and preserving the capital is your utmost priority. For example – You want to accumulate a corpus to fund your Kid’s donation fee for primary education, over the next 12 months or so. In this scenario, opting for a RD / FD makes sense. Another scenario can be, when you want to accumulate a fund to meet any unforeseen expenses (‘emergency fund’), you may consider investing in shorter-tenure fixed deposits. Retired people could also make the best use of this avenue for securing a fixed and steady income. Fixed income securities or Debt-oriented products should be part of your investment portfolio. There are no second thoughts on this. But the point is, try to identify and invest in tax-efficient fixed income options. These can be : Public Provident Fund (PPF), Tax-free Bonds, Debt-oriented Mutual Funds, Hybrid Mutual Funds, Monthly Income Plans of MFs etc., If possible take little bit of risk and invest in a top-rated Company Fixed Deposit too. Besides the above mentioned investment options, do consider allocating significant portion of your savings (disposable income) to Equity related investment avenues. Invest in Equity Mutual Funds (if not in direct equity – shares) for your long-term financial goals. They are not only tax-efficient but also can beat inflation. Investment in a property (real-estate) can also be a better option (but prioritize your financial goals before investing in a property through a home loan). If you prefer to invest only in Fixed Deposits and Recurring Deposits, it is for sure that your investment value (wealth) will get eroded over the years. If you choose to invest in various investment avenues, there is every chance that your portfolio can give you positive inflation adjusted post-tax returns. Do calculate the inflation adjusted returns on your fixed deposits & RDs (if any). Do not allocate your entire savings to Fixed Deposits or Recurring Deposits just because they are safe and give your guaranteed returns. The caution is not to use the fixed deposit as a long term investment avenue. Remember, it’s the RISK that gives your money the best chance to GROW. Bank Deposits: Are you aware of this interesting fact? Best Investment options in India! i am a government employee and making prompt IT returns and presently how to invest money in BANK FD’s and and how to fill the IT returns for he interest amount. You can visit any Bank branch and invest in FDs. Can invest through online internet banking as well. You need to show the interest income earned on FDs under the Head ‘Income form other sources’ in ITR. Living expenses of Rs 30k are taken care of by his pension. Marriage goal : To accumulate Rs 10 Lakh in 5 years from now, at expected returns of 10% , he has to invest around Rs 6.20 Lakh. You may suggest him to invest in aggressive MIP Fund (Ex – Birla Sun life MIP II Wealth 25 plan) for next 5 years. He may maintain around Rs 1 Lakh as an Emergency fund in mix of FDs + Cash + Liquid funds. The reamining balance is around Rs 13 Lakh. May I know what is the investment objective? Is it accumulation (or) to get monthly safe/fixed income? 35 yr age & no liabilities. 2 children. Salaried employee. Toatl income from me & wife is 73K. Why do you want to invest in Debt funds? Do you have any other existing MF investments? Have you planned for your Kids’ education goal & for your retirement? Kids’ Education goal planning & calculator. Thanks for the reply Sreekanth. Yes I have already invested about 6.5 L in MF’s as on date, Starting this October. (65% equity & 35% debt). 10% are ELSS funds.All are 4/5 star funds as per VROL. But I feel some risk in investing more money in equity as market trend is downwards right now. Hence deciding to go with low risk Debt funds.Is it correct? What would be the market trend in next 10 years? For kids education I have been investing in SSY/PPF. For retirement planning I have not done anything apart. I have term insurance of 50L (critical illness rider 5L) ICICI pru +10L ULIP, ICICI pru WB. Medical insurance 3L from employer. Pl suggest how should I go for further investments. It is next to impossible to TIME the Financial markets. If you are not comfortable investing lump sum amounts, you may opt for Systematic Transfer Plans from say liquid debt funds to equity oriented funds. So that you can take advantage of rupee cost average. Retirement planning should also be your high priority goal. Kindly consider taking a stand-alone health plan (family floater besides the employer’s group cover). Thanks a lot Sreekanth for your valuable advice. 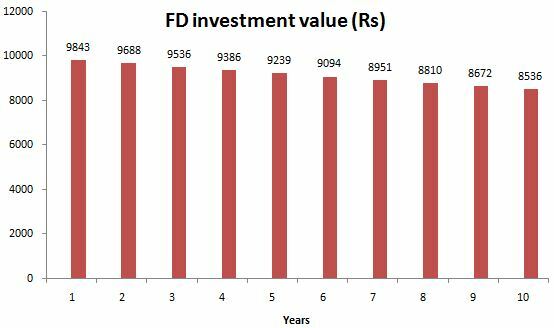 Is it a good idea to invest lump sum amount in Dynamic bond fund for three year time horizon to get 9-10% return? There is no guarantee of the returns, but yes, a average performing Dynamic Bond has given min 9% is past. With falling interest rates, bonds may have better returns. In terms of the risk, Liquid funds are least risky, then Ultra Short term, Bonds, Gilt. 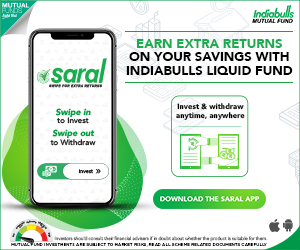 Do check out the exit loads (penalty if withdrawn earlier then stated duration) of any funds, Liquid and Ultra Short funds usually do not have any exit load. Others generally do. Dear Manja ..Thank you for the inputs. Dear Ram ..You may kindly read this article : Types of Debt funds. I want to invest my retirement corpus of about 1 crore for generating monthly income of about Rs. 50000/- which should be tax savvy and want to invest remaining amount in equity mutual fund for atleast five/six year for growth and inflation beating return. I have to keep Rs 10 lacs for marriage of my son and 6 lacs as emergency fund. Please suggest me the asset allocation of debt and equity instruments. I want to remain in 10% IT bracket. If you have corpus of 1 crore (minus 16 lakhs) and looking for just 50K p.m, then you are looking for just 6.5 – 7 % interest rate. You need not invest in any mutual fund, Just go for FD from different bankswith Quartely payout (I am not sure if there are monthly payouts). However, you may consider part of investment in Liquid / Ultra short term funds which will provide you high liquidity. You haven’t specified the duration for the 10 lakhs. If it is within 1 – 2 years, do not deviate from FD / Liquid / Ultra short. If it is atleast 5 years, then you can check on the Equity Mutual funds. For emergency, stick to Savings account (with Sweep in) or Liquid funds. Since even a 5% return on 1 crore is 5 lakhs p.a, you cannot remainin 10% IT bracket. Please note, I am just a user, Sreekanth may have better view. You can consider investing in Tax saving Bonds (NHAI, REC – allotment going on till March 2017). They pay half yearly and give returns that are completely tax free. Their rate of return is around 7% p.a. . So for a corpus of 1 Cr, you will get 3.5 Lacs every 6 months. This amount is totally tax free. If I invest the interest I receive from FD into equities would the overall returns beat inflation ? May I know why would like to implement this strategy? Isn’t it better to invest in equity oriented products directly for long term goals instead of taking this indirect route? I believe that this investment strategy is a complex one. Kindly keep it simple. Kindly note that interest income from FDs is taxable income. Also, the corpus amount required for your long-term goals may not be achieved if you just invest interest income in equity oriented products. I have made FD of value 125,000/- INR, interest at 7.25%. for period 12months. How much return did I get after completion? Is there any tax deduction. As of my knowledge I get a return of amount 9,062/- INR. Interest income from FDs/RDs is taxable. The income should be added as ‘income from other sources’ and it will be taxes as per your income tax slab rate. if you fill form 15G/15H then the tax amount can be saved . I have 4 lakhs in my savings account. For a one year horizon, can i invest in any debt based liquidity fund which can give me 9-10%return. FDs are giving very less return now. Dear Ravi..Short term debt funds can give slightly better returns than one year FDs (but kindly note that returns on debt funds are not guaranteed). how should i allocate my money to achieve a near goal of 2 year of acquiring Rs. 50 Lakhs?? Kindly first calculate how much do you need to save per month or periodically to accumulate Rs 50 Lakh and then you can identify right fin products to achieve your goal amount. I am 34 years, i have a property worth 35 lakhs which i bought 3 years ago. my total expenditure on the property is 27 lakhs including EMI & loan repayment. I have completely repaid the loan. i am thinking of selling the property and deposit for monthly returns, please suggest me whether i should sell it or not. Which option is better selling the property and deposit in bank or keep the property for growth. Property is located in Tavarekere- magadi road – ganesh nagar layout. The decision should be based on your requirements and various other factors. It is tough for me to advise you on this matter. May I know your financial goal(s) & investment horizon. Fatca compliance rules for NRIs. I believe that you have read the FATCA related post. If you are USA based NRI, you may not be eligible to invest in all MF schemes. You can invest only in few fund houses. Suggest you to start investing in equity mutual funds (Indian). As you have a long-term view, any gains made at the time redemption (after 1 year) is tax exempted (as per current tax laws). Kid’s education goal (as per Indian inflation terms). what do you suggest a better invest option for 10 lac in my FD which will be due in this march. i would like to keep half of it for contingency money. Read: Savings options for maintaining Emergency fund. Thanks for your inputs Sreekanth. Very valuable..
Could you please suggest the best financial institutions that offer the best FD in the market as on today (March 3rd, 2016) – preferably national banks. Also, can you confirm if the TDS amount on FD interest is based on the tax slab that we fall under? TDS @ 10% is levied. But if you are in different income tax slab, you may have to pay taxes accordingly. Kindly read: TDS & misconceptions. I want to seek your suggestion reg surplus amount as I don’t see more future earnings at this point time, can I take this option being a house wife of two girls children? Your suggestion is much appreciated. Dear Amrutha..May I know your investment horizon for MF investments & kids’ ages? If you want some guaranteed periodic income then you can consider investing the amount in PO MIS. Dear Amrutha..If accumulation is your investment objective then you can invest a portion of the surplus money in a balanced fund. But kindly understand the risks associated with equity oriented funds. Read : Best balanced funds. MIPs (Dividend option) may not guarantee you any fixed payment on a monthly basis. If safety of capital and guaranteed payment are your objectives then you may stick with FDs only. Does she has health insurance cover? Dear feroz..Let me know your query?? I am 57 years old and retired few months back. I am to receive 30+ lakhs as my retirement benefits. I have a disable brother,another brother whose income is less and I have to finance these people. Kindly let me know where I have to invest to have a monthly income of 20000/-. I am not risk averse but at the same time , I prefer to be a little conservative. I retired from a pvt sector and I do not get pension. Kindly save 6 to 12 months of your living expenses as an Emergency Fund. You can invest this amount in multiple FDs/RDs. Also, get yourself adequately covered with an health insurance policy. Consider investing in options like : Bank FD + Post office MIS + a small portion in MF MIP-Growth Fund. Once your become a senior citizen, consider Post office Sr.Citizen Savings Scheme. Best Portals to compare health insurance plans. List of Best investment options in India. Please suggest the correct way to invest in debt mutual funds for 1-2 years time frame either through monthly SIP or a lump sum amount in one go at starting and then let it to grow. Debt Mutual Funds – Types & Benefits. My father is 70+ and Rs 10 L was matured just few week ago from his earlier FD. What he should do ? Show he again reinvest in the FD ( recently FD rate is very low) ? Let me know if he has any specific goal? Or just want to invest in a safe & guaranteed investment avenue? He is a pension holder. No such goal. His plan – put it as a FD (7.5% -8% I guess) in some bank. Invest to some MF for upcoming 5 years with the Monthly interest coming from that FD. Father asked me for any better option to utilize the money. Your father can consider investing some portion of the surplus money in a MIP-Growth option. Kindly read : Best MF MIP Plans. Remain invested for say 2 to 3 years. The balance amount can be invested in 1 to 2 year Bank FD. In case, if you do not need money for say next 5 years or so, you can consider investing a small portion in a balanced fund like HDFC Balanced fund or TATA balanced fund. I need your advice for better investment options than FD. Say, if I have accumulated certain amount and I need to invest it, what should I consider as a better bet? Hi, I want to invest Rs. 100000 for my newly born daughter. where should i invest to grow money for her future? Dear Raman..what is your expected age of Retirement? Share more details about your existing investments (if any)? Do you have sufficient life insurance & health insurance coverages? My expected retirement is 55 -58 yrs. I am investing in PPF for past seven years ( full limit). I have Life insurance ( endowment and market linked ) but no term insurance . Yes, I have health insurance started only two years ago. Invested abt 1L in MFs in the past. Thinking of SIP but not sure if it should be ok. I donot have any pending loan at present.Have some FDs which I am renewing every year. Should I break that and put some where else as after reading your article I find FD is not good for a long term. Also further Can invest 10-15K per month now. What wd be your suggestion? Your first priority is to buy a Term plan and you may discontinue Endowment polices (depending on the tenure that is remaining). Term insurance vs Endowment plans. Maintain FDs to the extent of say 3 to 6 times of your monthly living expenses , as an Emergency fund. The remaining amount (if any) invest in a balanced fund towards your Retirement goal. How much amount can be put in the balanced fund?? Any SIP would be useful? 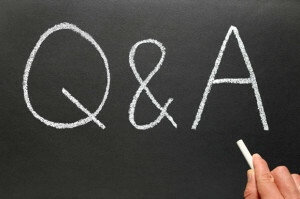 i just checked your blog and read the queries raised by the people as far as financial planning is concerned. i am in 20% IT slab, i want to invest around 40000 rs / month. from which around 25ooo /pm i want to invest for long term (more than 10 years) and 15000 / pm for the short term (6 -12 month). i have money back life insurance policy for which premium is around 37000) and other conventional policy for which premium is 18000 rs, health insurance premium is around 15000 rs. / per year. i was thinking to go for monthly FD / RD for the said amount but after reading your article and comments, i think i have to change my decision. Kindly consider either making the exisiting money-back / endowment policies as PAID UP or surrender them. Read my article – How to get rid off unwanted policies? But before you do this, do take a term insurance plan with sufficient coverage. Go through my article – Top 7 best online term insurance plans. For short-term investment horizon, you may consider FD/RD. I dont have lumpsum amount to invest. I can be able to invest Rs. 5000/month and also want tax exemption for the amount invested. Please let me know which option i have to go for. What is your investment time-frame? When do you need this money? Then consider investing in ELSS funds. Kindly read my article : Top ELSS funds. Revert to me if you need any guidance. Thanks Sreekanth! I’m in 30% bracket. Can you please advise which is good between FD and short term debt funds considering the overall post tax return and time period (6 months)? If I should go for debt funds, it would be helpful if you can suggest some good funds in the cateogry? Suggest you to invest in short-term FD or RD or use Sweep-in account. I have opened RD for 3.5 years and monthly i will be paying 3000/-. Is this investment safe whether TDS is calculated on RD as well? It is safe, but you need to think from your financial goals point of view..are you saving in this RD for any specific financial goal(s) of yours? Yes, from this financial year (2015-2016), TDS is applicable on RDs. Read my article on : ” FD & RD – Tax implications ” . I have to give some portion of this money (50%) to my school/ charitable home etc after 5 to 6 yeras. Where should I invest and how I invest so that after 5 years I can expect a good Tax free return. If your investment objective is to get good tax free returns , suggest you to invest in a balanced fund. Stay invested for atleast 4 years and then switch to FD. But, kindly understand the risks associated with balanced funds. Read my articles on “Top Balanced Mutual Funds” & “Mutual Fund Taxation Rules“. I just get one maturity amount of FD Rs 6 L. This amount is my Mother she is now 55. Should I invest this to again in FD or have some suggested better oppertunity for my Mother of Rs 6 L.
I have to invest a lumpsum amount of about 2 lakhs which I need to invest for short term ( 6 months or more). Shall I go for debt mutual funds as compared to FDs ? If so, can you please suggest some fund(s) I could consider ? Also the market is low now so lump sum investent might make sense. Thanks! If you need money in 6 months, do not invest in equity markets or equity mutual funds (even if the market is performing well).